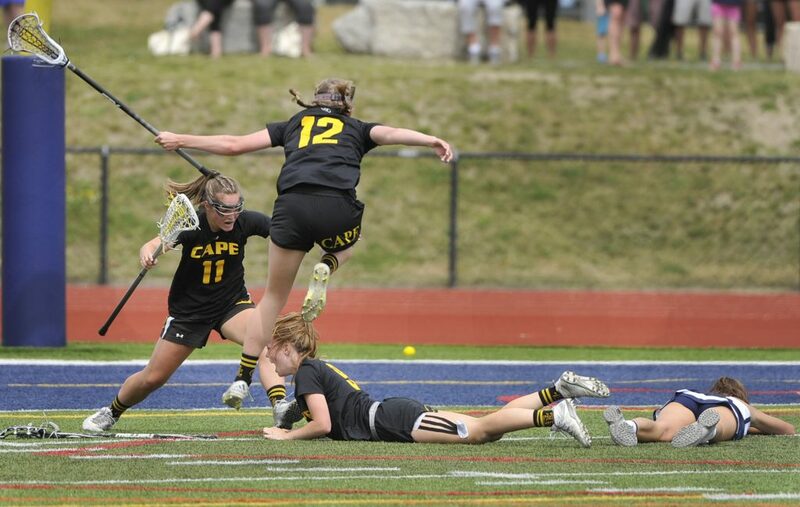 An hour before the Class B girls’ lacrosse state championship game, it didn’t look like Cape Elizabeth’s Emily Healy could play. 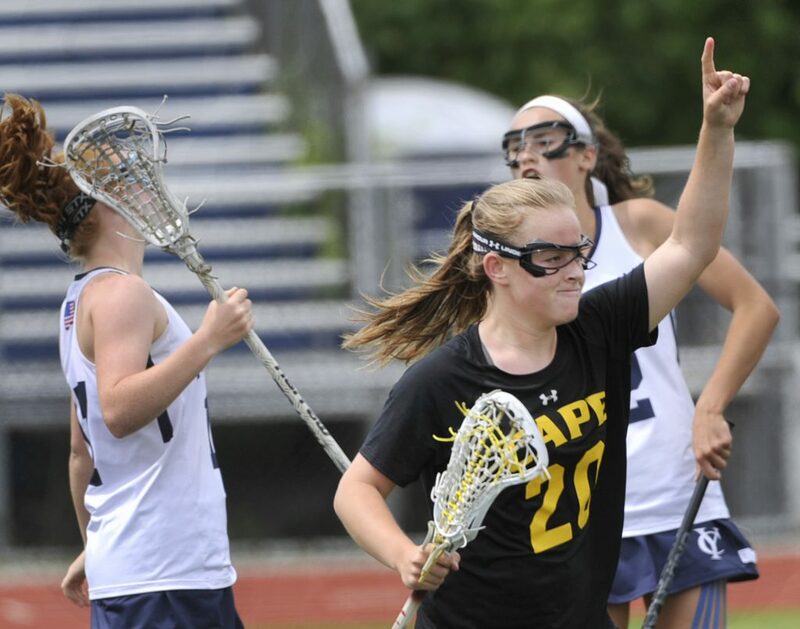 About two minutes after the game was supposed to have ended Saturday, Healy sped to goal on her sore left leg and buried a championship-winning overtime goal. 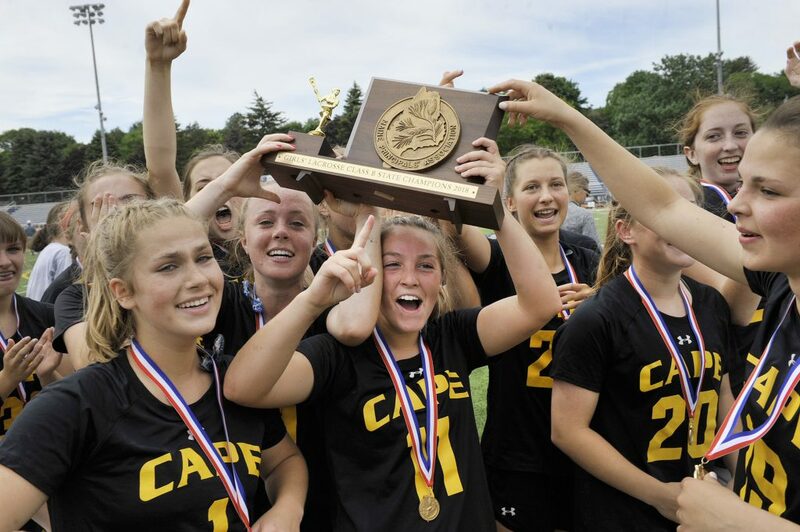 Healy hit her spot with 42.9 seconds left in the first sudden-death overtime as second-seeded Cape Elizabeth beat top-seeded Yarmouth 12-11 to win its first state title since lacrosse became sanctioned by the Maine Principals’ Association. Healy finished with five goals and an assist. As her teammates warmed up, she grimaced through treatment on a deep gluteus muscle bruise. Injured in the quarterfinal, Healy “really, really struggled,” in Cape’s semifinal win against Greely, she said. The winning play was set up when Chloe Chapin hustled back in transition to force a turnover by Ehyrn Groothof (four goals). 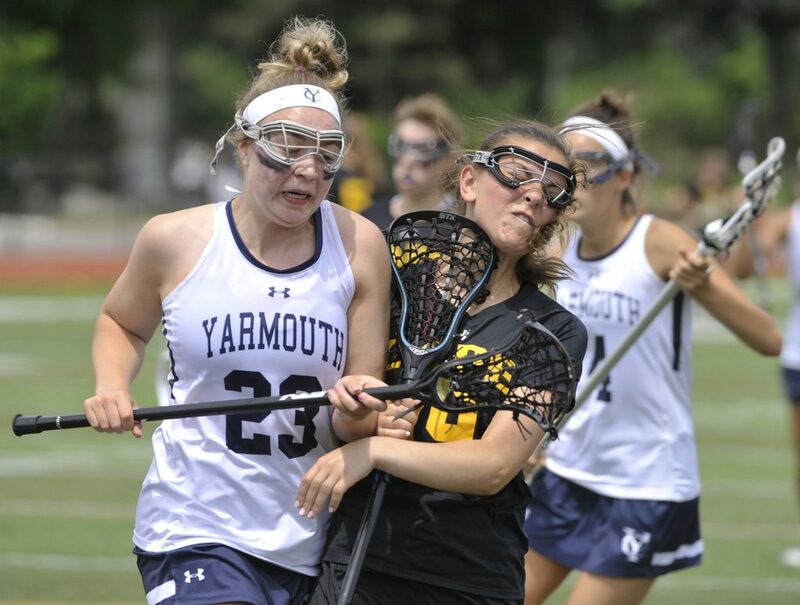 As Yarmouth’s coaches screamed that they had asked for a timeout while the Clippers still had possession, Grace Gillian scooped up the loose ball and hit Healy in stride just past midfield. Healy sent the game to overtime with a free-position goal with 47 seconds to play. 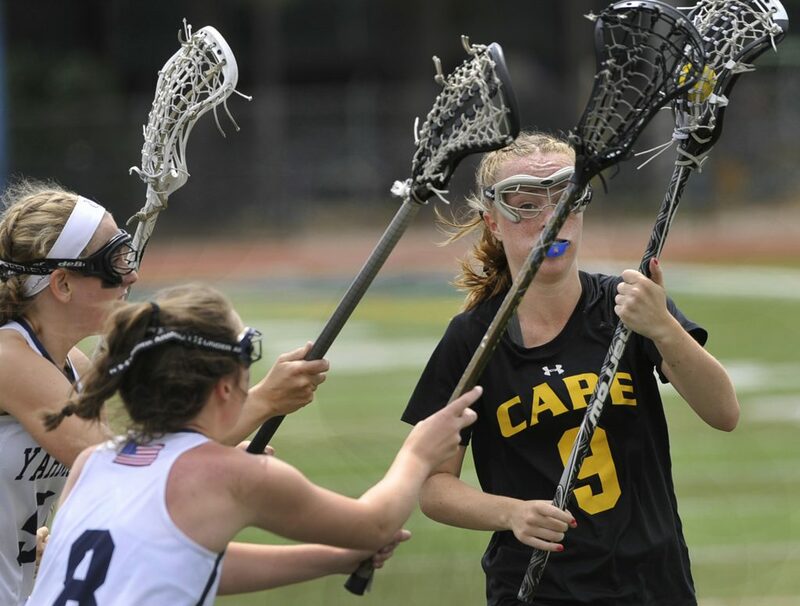 Cape keeper Erin Foley preserved the tie with 15 seconds left, stopping a point-blank catch-and-shoot bid by Groothof. 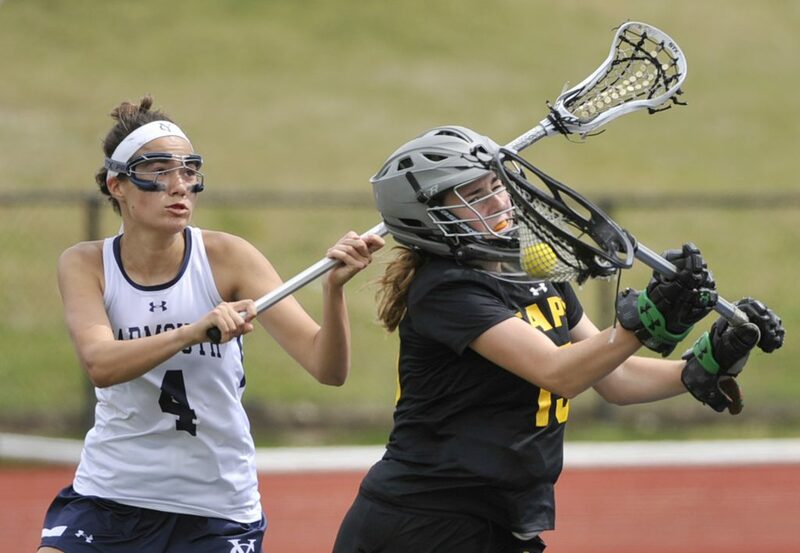 Prior to Healy’s tying goal, Yarmouth had two critical turnovers – the first while trying to run clock with about two minutes to play; the second with about a minute left after Yarmouth goalie Isabella Sargent (three saves) kicked out a Karli Chapin free-position shot. Yarmouth (12-3) lost in the Class B final for the third straight year. Just two years ago, Cape failed to make the playoffs. 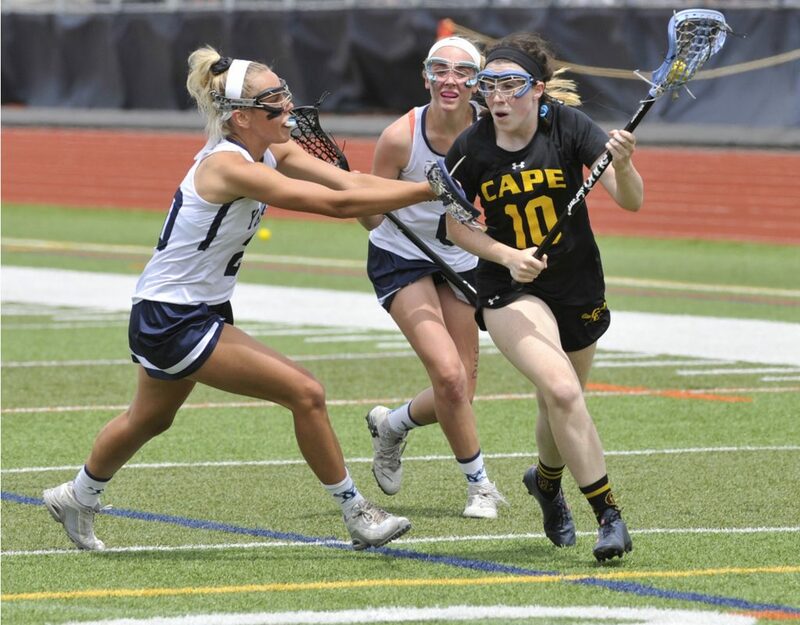 Cape (10-5) played a nearly flawless first half, scoring on its first seven shots and getting six saves from Foley (eight saves overall), as well as physical, aggressive defense, and good clearing runs by Brooke Harvey and Laura Ryer. 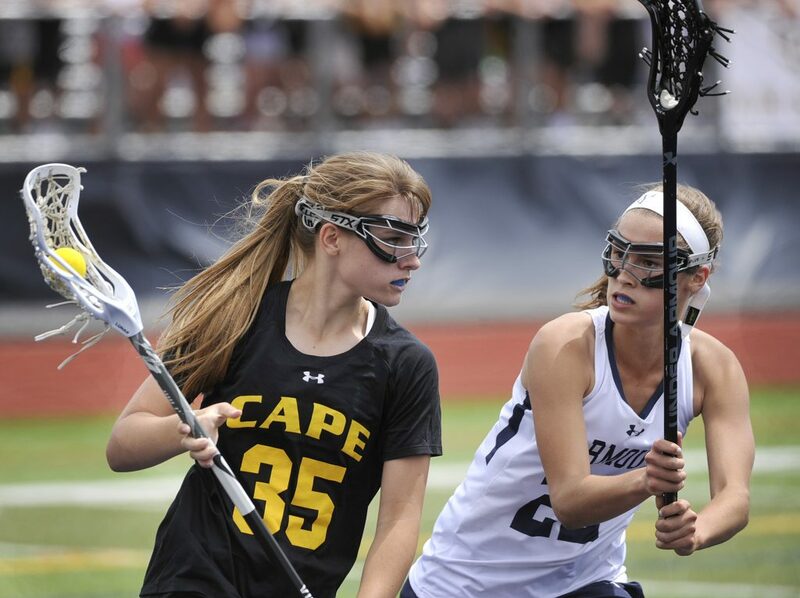 Yarmouth’s second-half rally began when Holt switched Meredith Lane and Eva Then on the draw alignment, with Then taking the draw and working to direct it to Lane. Three times, Yarmouth trimmed the lead to one, including at 10-9 with nine minutes left when Then became the first player in Yarmouth history to score 100 career goals. Yarmouth scored two more goals while Karli Chapin was serving a two-minute penalty. Lane tied it with 5:04 left, then set up Margaret Elder’s goal with 3:32 left for an 11-10 lead. 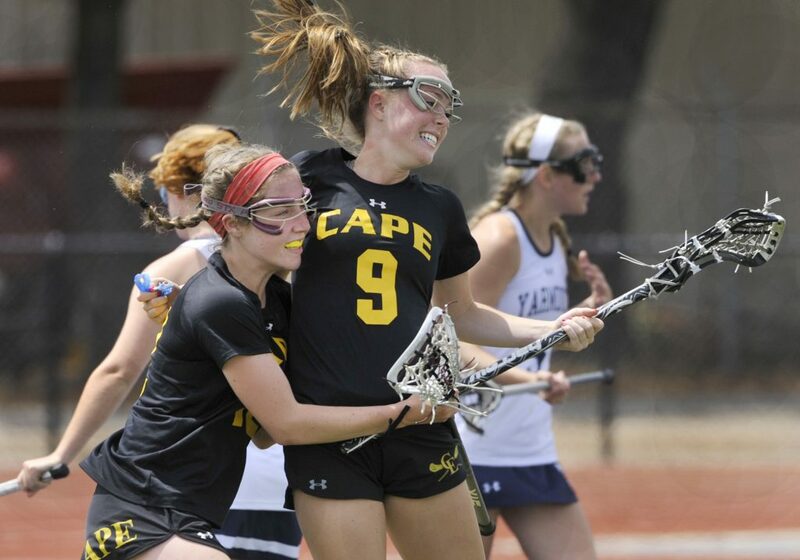 Karli Chapin, Chloe Chapin and Susie Graham each scored two goals for Cape. Madison Sarka scored once. Elder, Lane and Then each had two goals for Yarmouth, with Emma Marston scoring once.